Housepets! - View topic - Favorite Superhero or Superheroish Character? Favorite Superhero or Superheroish Character? Hey gang, it's me again, with another name your fave whatever thread. I searched for any thread like this already, honest. Oh and to explain the rather odd title, it's to include characters like the Power Rangers, or Kamen Rider; you know, just so people don't automatically limit it to comic book characters. Anywho, I'll go ahead and start things off with one of my faves...Spider-Man! Re: Favorite Superhero or Superheroish Character? YES YES YES! Doctor Who for the win! What!? I am a fan of detective fiction! I applaud you for considering Sherlock Holmes a superheroish character. He's quite awesome! Oh yeah, now we're talking! The World's Mightiest Mortal! Th... This is on purpose, right? Well, Shazam is the word he called out to activate his power, so...maybe? As for MY favorite of the afore mentioned, I'm a Green Arrow fan. Spider-Girl. I'm too lazy to get a picture. Also, Darkwing Duck. And Spider-Man. And Batman. Okay, I'm sure everyone is thinking this. *looks at people's yellow textboxes* "Shh, my common sense is tingling" is one of the greatest lines ever. Of all time. I used to like Nightcrawler from X-men cartoons (both the 90's version and the "Evolution" one). I really like Docter Who as well, although I've not watched it since David Tennant left. Either way, I'm surprised we've not mentioned the Dark Knight yet. Mod Edit: When censoring oneself, make sure to use four asterisks. Thor... Thor is epic. The Avengers and Spiderman are pretty awesome as well. I have a bunch more, but being a Marvel guy makes it hard to choose. 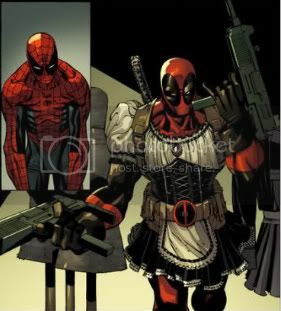 Woah...I think I love Deadpool even more now! I guess him. I don't know if he counts. He might be more supervillainish. If he doesn't count then I like the Ghost Rider. I'm not a big superhero fan, but I'm fairly partial to Batman. Oh holy cow! I forgot I even made this thread! Cool! It's made me realize how long I've been on this forum. 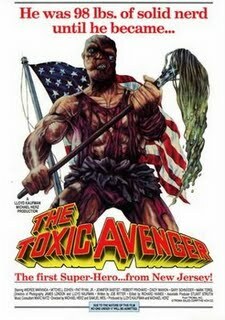 I like the parody characters so I'll pick a tie between "The Tick" and "The Greatest American Hero" (RIP Robert Culp). 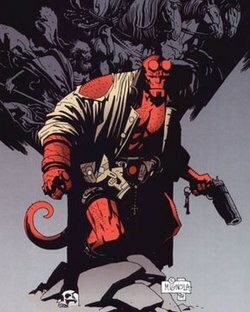 By Far it would have to be Hellboy. 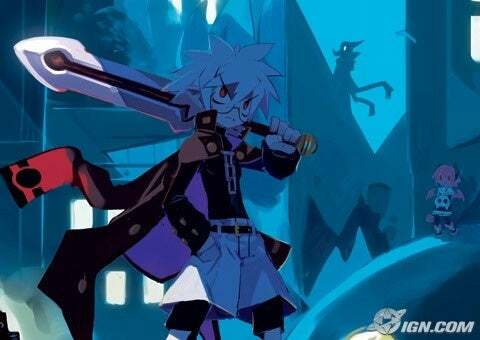 I love the idea of a monster that hunts other monsters. And, he was brought to Earth to destroy it, but he chose to ignore that and just became an average guy. Bringing old sleeping thred back To life is my job. I think I revived really really old thread more than half a dozen times. I don't think they count as superheroes. Squirrel Girl once beat Deadpool in a fair fight. Mine are a tie between a few, Rorschach and The Comedian (despite how terrible of a person he is) from Watchmen are AMAZING characters with a lot of depth, but I absolutely love the Green Arrow, I like the whole Robin Hood idea with him, he has guts, skill, and compassion. And lastly, I say Guy Gardener, he is loud, opinionated, bold, brash and bombastic with will so great that when he was kicked out of the Green Lantern Corps. he stole Sinestro's yellow ring of fear alone and, basically unarmed. For those of you that don't know, Sinestro is so powerful that he started his own Lantern Cops., just think about that for a bit. Spider-Man. But only the one who appeared in 90' cartoon. The TAS version.